Luciana Berger is Labour’s MP for Liverpool Wavertree and a former shadow minister for mental health [Image: PA]. Isn’t it stunning, the way some people are willing to twist the facts? It seems that Momentum members have gained control of the executive of Liverpool Wavertree Constituency Labour Party, with nine out of the 10 available positions. 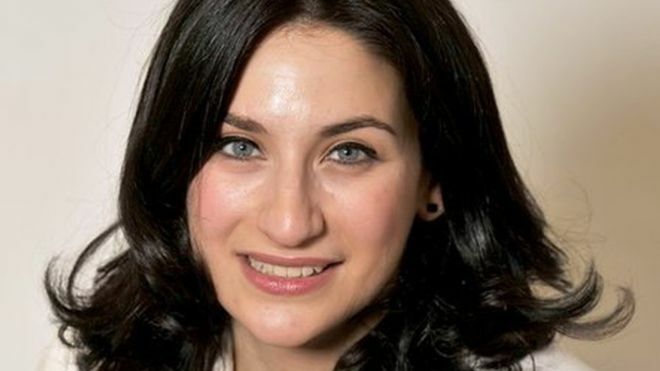 Luciana Berger is the MP for Wavertree, and is known to have resigned a shadow cabinet position last year as part of the so-called ‘chicken coup’ to have Jeremy Corbyn removed as Labour leader. A member of the new executive – who is not a member of Momentum – has demanded an apology from Ms Berger for her actions against Mr Corbyn last year, saying she should “get on board”. But commentators including the Jewish Chronicle have accused Momentum of anti-Semitism, as Ms Berger is Jewish. Read that paper’s article. It acknowledges that the comments were not made by a Momentum member – but still attacks the organisation for anti-Semitism. What gives? None of the information we have suggests anti-Semitism by anybody, so why mention it at all? This Writer is pretty sure that Ms Berger’s resignation from the shadow cabinet had nothing to do with her religion. She probably believed that Mr Corbyn’s views and policies were too left-wing for the general public at the time. History has shown that opinion to be mistaken, so there is a good argument for her to make a public declaration of support for Mr Corbyn. And she made just such a declaration, in conjunction with the new CLP secretary, Angela Kehoe-Jones. Was it the reference to bombng in Syria that prompted the accusation of anti-Semitism? Hostile political commentators are spreading entirely false information about the internal situation within Labour. They should now retract. This comment is also accurate – isn’t it? Those that make casual claims of anti-Semitism and sexism for political reasons, do an immense disservice to the real victims of both. By the way, Roy Bentham's tone was totally off. But he's a courageous fighter for blacklisted workers who have been genuinely persecuted. Is that why this Mail writer is attacking him? Not because of any genuine misbehaviour, but because Mr Bentham stands up for workers who are being persecuted? So, what are we really seeing here? An attempt to discredit a good man for a comment that may be seen as off-colour? Bear in mind that Ms Berger did vote to bomb Syria. This Writer knows how that story runs, of course – in April an organisation called the Campaign Against Antisemitism published an article smearing me with false claims of anti-Semitism, in an attempt to prevent my election to Powys County Council. As this is illegal, I have made a complaint to the police, who are handling it in their meticulous manner. It's real and it's abhorrent. Those that have thrown around baseless accusations as we've seen today, undermine the fight against it. It seems such an effective flag to raise and can do a lot of damage to the party with its use. The accusations need to stop if they aren’t true. Mike, you are correct. Luciana Berger’s resignation letter does not cite anti-Semitism. See: Luciana Berger joins mass exodus from Labour’s shadow cabinet – Liverpool Echo http://www.liverpoolecho.co.uk/news/liverpool-news/luciana-berger-joins-mass-exodus-11532020. As I have said, many times; the sooner that we decide what anti-Semitism is (racism, or religious hatred) and call it thus, the sooner many these problems will be solved. Isolating peoples is never a good idea. While the wheels of justice move slowly, I hope there is some positive progress in your own fight against false and illegal claims against you.